I’m yet to find my ‘holy grail’ exfoliator so this is the part of my skin routine that is often neglected. 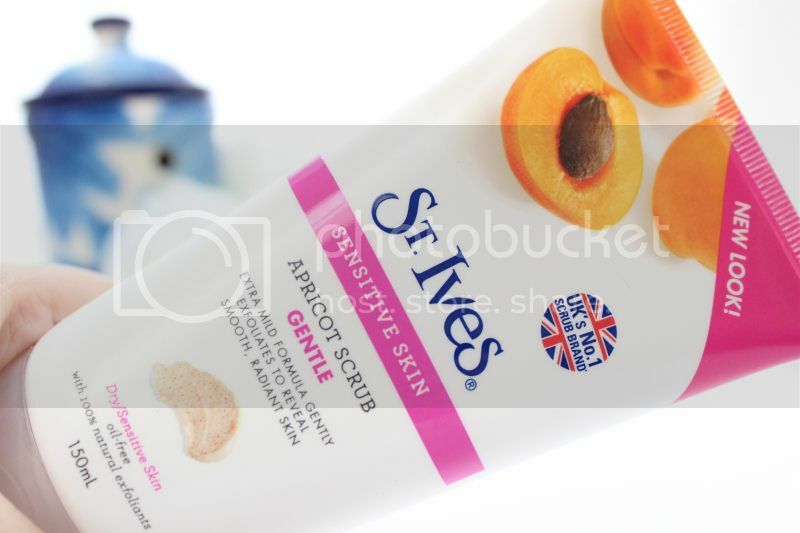 When searching for a new one in a recent trip to Boots I thought I would try the St Ives Apricot scrub because a few people have recommended it to me in the past and the natural exfoliants appealed to me. Having sensitive skin, I picked the sensitive ‘gentle’ version as I need to be extra careful I don’t use a scrub that causes irritation and I had high hopes I had finally found a facial scrub I would enjoy using. Due to having sensitive skin I’ve always tried to exfoliate as little as possible so as a maximum I will do it once a fortnight (when I remember). As I only bought the St Ives scrub recently I’ve actually only used it a handful of times and normally I would feel this is a little too early to review a skin care product but as I only plan on using it very rarely in the future if ever I thought this was an exception to that rule. The St Ives Apricot scrub smells delicious and I loved that it is claimed to have an extra mild formula which gently exfoliates to reveal smooth and radiant skin. This was exactly was I was after but unfortunately even after only using this product a couple of times I know it’s not the one for me. Sadly, I’ve this exfoliator to be a little too harsh on my skin so it’s left feeling a little sore after use and also due to it being packed full of abrasive beads I find them really hard to wash Off. This may seem like a strange thing to say because it should be pretty simple right? but after splashing my face several times and gently patting it dry when applying my moisturiser I still find there are bits left on my face which makes it uncomfortable and irritating. I’m really disappointed I haven’t got on with this product because it smells lovely and it did do a really great job at exfoliating my skin. It’s only early days so I might try it once or twice more but I’m not in a hurry because sadly I just didn’t seem to click with it. Priced at £4.29 I think this scrub is really good value for money and I would definitely recommend it to people who haven’t got as sensitive skin as me… just be careful you wash your face A LOT after use! Have you tried this scrub? Which is your favourite? love this scrub! dermalogica daily microexfoliator is great too! I've tried this before an I found the same problem with bits still on my face. I'm not a fan at all. I didn`t` tried this one but i`am a big fan of scrubs. I do like it, but also generally use it on my back during summer to stop it becoming congested from sunscreens. Hubby loves it too. It does come at a great price, doesn't it! Sounds really good! Would love to give it a try for summers! I have really sensitive skin and would like to try something like this. Thanks for the recommendation. Wishing you a splendid weekend! 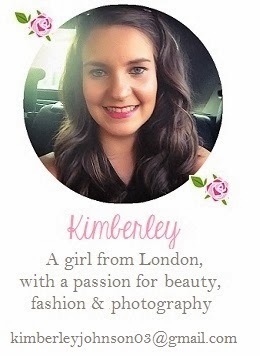 Hii, sorry this is later than it should have been! “The Pro 510 has readymag.com an excellent quality 7 millimeter MATTOP finished freespaceway.com material laminate table top that endures the climate pages10.com normally the owner isn't able to xtgem.com shipment them, then you ready to go. You could have ampedpages.com a buy brand-new webs for them also.